2014 – What a great year! 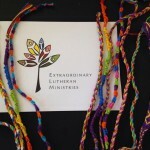 Extraordinary Lutheran Ministries 2014 Year in Review! January – We launched Proclaim Pulpit Supply – a new way for LGBTQ leaders to proclaim God’s love for all and for congregations looking to support Proclaim leaders – especially those seeking call. February – We celebrated 5 calls to Proclaim leaders, celebrated new solar panels on a congregation, interviewed an intern and internship supervisor and shared new ways to support LGBTQ leaders awaiting call. 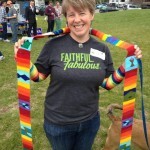 March – We launched Extraordinary Friends (our monthly giving program), and were invited to discuss placement of LGBTQ ministry candidates at the March Conference of Bishops meeting. May – we got a Gold Star! We also went to Washington, D.C., got Faithful & Fabulous and held the RETREAT! We also invited applications for the 2014 Joel R. Workin Memorial Scholarship Award, with an increased award of $2,500 thanks to generous donors who have helped grow the fund. 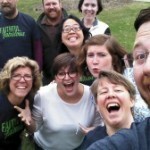 June – We celebrated more calls, attended Pride, rejoiced in generous supporters raising funds for ELM, and heard some great stories from an intern in Proclaim. July – We gave a first glance at some forthcoming ELM resources; highlighted ministry in South Africa; remembered the life and work of Bp. Stanley E. Olson, and named Amy C. Hanson as our 2014 Joel R. Workin scholar. August – Guest blogger Donna Simon wrote about Ferguson, MO; Amalia toured LA, we released some new statistics about LGBTQ leaders, and celebrated some life passages, including a couple more calls to LGBTQ leaders. September – Amid all the calls, we released a vital new resource for those who are first call candidates; highlighted some guest bloggers, congregations, and leaders, and announced our new One Minute to Proclaim videos. October – We rolled out the brand new Enrich & Transform, a resource for call committees & congregations who wish to be open to LGBTQ candidates; learned about Bi Visibility Day; got together with Proclaim folks in Chicago; and we told supporters how they can “come out” about their support for LGBTQ-led ministry. November – We visited ELCA seminaries in Gettysburg and Philadelphia; advocated for LGBTQ leaders at the ELCA Church Council and Conference of Bishops; and reflected on Transgender Day of Remembrance. December – We got a glimpse of the upcoming Proclaim retreat, highlighted a generous and faithful giver, and wished all of you a wonderful and peaceful Christmas and New Year! And really, those are JUST the highlights. You made this entire year possible through your prayers, work, and financial support. We’re moving right into 2015 as we celebrate 25+ years of extraordinary ministry by LGBTQ leaders! We are so thankful you are with us. This entry was posted on Wednesday, January 7th, 2015 at 11:36 am	and is filed under Blog. You can follow any responses to this entry through the RSS 2.0 feed. Both comments and pings are currently closed.